Statue of Avalokitesvara, the Bayon, ruins of Angkor. Avalokitesvara is a Buddhist deity who has postponed his own Buddhahood in order to be on the watch for the problems of people in distress, and to help all people reach enlightenment. 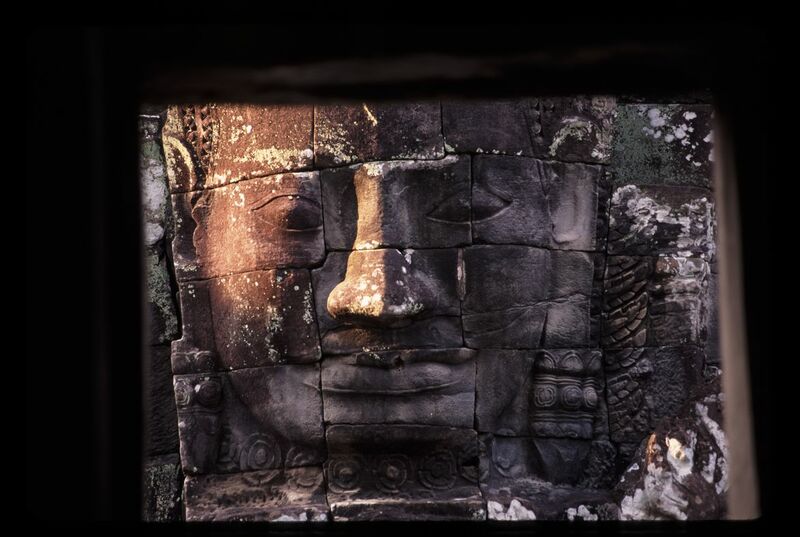 The Khmers were in the process of becoming more Buddhist -- and combining it with Hinduism -- at the same time that they were building the temples of Angkor, so both are represented in the carvings. Avalokitesvara was always carved with four faces, one to each direction, to indicate that he was watching everywhere.